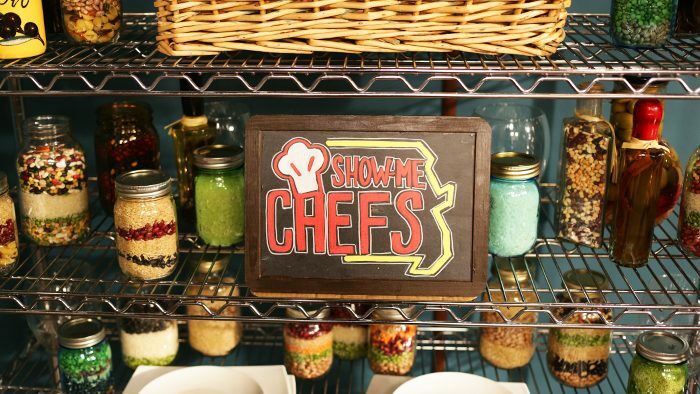 Since its first season in 2015, Show-Me Chefs has entertained audiences with televised culinary showdowns between area chefs. It’s quickly become a local tradition — with an emphasis on local. 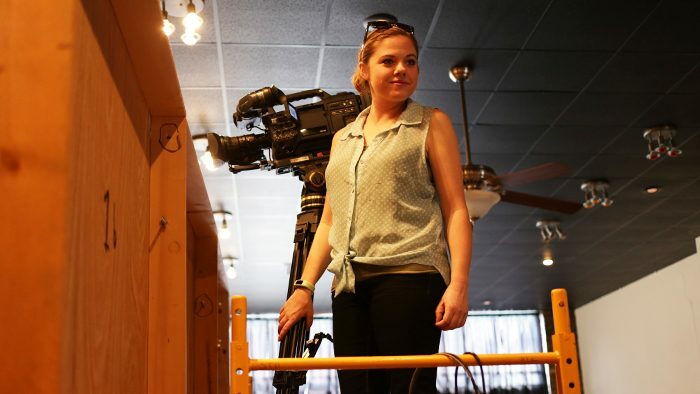 Over the course of three seasons, more than 130 students have worked on Show-Me Chefs, filming 24 contestants who’ve served up more than 250 meals. Their work was recently recognized with a 2017 College Arts Emmy nomination in the Series-Unscripted category. This course structure is modeled on a process called instructional scaffolding, which emphasizes providing targeted resources and support for students in a customizable learning environment — with the ultimate goal that students gain autonomy in the field. Instructional scaffolding has long been employed through internships and learning from team supervisors or mentors. But Larson has formalized the process in student production by dividing a large team into production units, such as camera and lights, art department, and producing and directing. Each unit is led by a graduate student, who provides guidance to the upper- and lower-division students that make up the rest of the team. For thousands of kids in Missouri, school isn’t just a place for learning. It’s a shelter. A kitchen. A refuge from suffering. For these kids, hygiene needs go unmet. Meals are few. And clothes rarely fit. They come to school distracted by hunger and limited by embarrassment—their education an afterthought to survival. The Mission of Care to Learn is to provide immediate funding to meet emergent needs in the areas of health, hunger and hygiene so every student can be successful in school. These are the things that stand between children and belonging—basic unmet needs that cause pain and embarrassment. These opportunities exist because many aspects of the Missouri State and Springfield communities provide support. Larson is grateful for resources provided by the university, the College of Arts and Letters and the departments of communication and media, journalism and film. Show-Me Chefs also receives donations from a diverse range of local businesses, including 319 Downtown Event Center, MaMa Jean’s Natural Market, Horrmann Meats, Red Top Oven, New Horizons Hydroponics, Urban Roots, Fellers Food Service and KOZL TV, who provide everything from prize money for the winning chef to pantry items to the aprons contestants wear on the show. 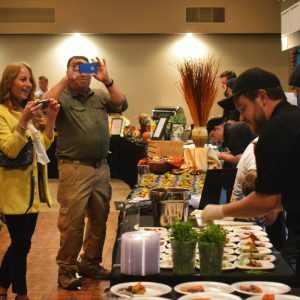 Individuals can learn about opportunities to get involved by following the Show-Me Chefs Facebook page (which also serves up tasty, behind-the-scenes sneak peeks and information about the October 2017 Show-Me Chefs Gala). The Missouri State campus is a source for two Show-Me Chefs ingredients: beef and wine from the Darr College of Agriculture. And for viewers who get inspired and want to try Missouri State beef and wine? Rhonda Breshears of the Darr College of Agriculture shared that Hy-Vee and Horrmann Meats sell both beef and wine and that the wine is also available at the Brown Derby International Wine Center. It’s the perfect way to dine like a Show-Me Chefs judge!